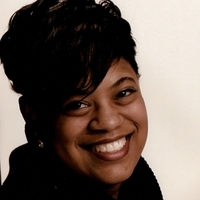 My name is Jerolynn Bell-Scaggs and I am a Licensed Professional Counselor in Wisconsin. I earned my Bachelor degree in Psychology in 2000 and my Masters degree in Clinical Psychology in 2003. I have worked in mental health since 2003 in various levels of care including treatment foster care, in-home, partial hospitalization, and outpatient. I am the Founder and Owner of Family Healing and Wellness Center which is my private practice specializing in youth and families. My areas of expertise are mood disorders, anxiety disorders, family issues, trauma and unresolved childhood issues, anger management, communication skills, parenting skills, stress management, self-esteem, and self-harm behaviors. My treatment approach is a combination of Cognitive-Behavior therapy, Solution Focused therapy, Reality therapy, and Motivational Interviewing. However, I am flexible with treatment approaches and will utilize an approach that best meets your needs. My goal as a therapist is to help individuals heal from emotional wounds past and present. It is also my goal to help individuals improve and stabilize their wellness both emotionally and mentally. I take a holistic approach towards wellness and support my clients in exploring alternatives to traditional medications as a part of treatment (i.e. nutrition, exercise, herbal medicine, etc.). My warm, caring, sympathetic, and non-judgmental personality helps clients feel at ease and comfortable to share their inner most thoughts and feelings. I am dedicated to help you "stop hurting and start healing"! Very accepting, frank, and easy to work with. I recommend her. Would you like to write a review for Jerolynn Bell-Scaggs? We'd appreciate if you can spend a couple of minutes to write a short review for Jerolynn Bell-Scaggs (MA, LPC, ADC). This review would be shared with Jerolynn Bell-Scaggs. It may also be posted in our website or in Jerolynn Bell-Scaggs's profile but it would be anonymous and your identity would be kept completely confidential.